Ed Dover, 71 year old Woodward resident, died Friday, November 16, 2018 at his home. Graveside funeral services will be held at 2:00 p.m. Tuesday, November 27, 2018 at the Elmwood Cemetery. Military Honors will be conducted by the United States Marine Corp.
Edward Lee Dover was born March 9, 1947 in San Rafael, California to Howard Fredrick and Beula Helena (Mercer) Dover. Ed grew up in Novato, California and attended school there. He was inducted into the United States Marine Corp on July 21, 1966. He served his country in Vietnam and received the National Defense Service Medal, Vietnam Service Medal, Vietnam Campaign Medal, and the Good Conduct Medal. He was a Rifleman and was honorably discharged in 1969. Ed was united in marriage to Cheryl Dianne Gottschalk on November 14, 1969 in Mooreland, Oklahoma. They made their home in Mooreland for eight years before moving to Vici and later to Woodward where they are currently residing. Ed worked for the Fruit of the Loom Factory, the oilfield, Woodward Concrete, and Leroyâ€™s Ready Mix for 27 years before his retirement. He enjoyed working on model airplanes, bowling, fishing and taking care of his family. 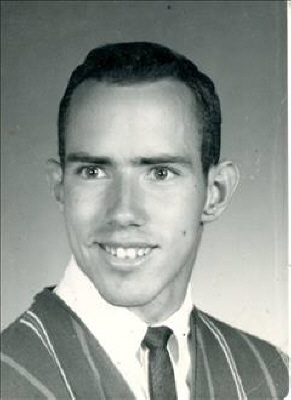 He is survived by his wife Cheryl Dover of the home; two sons: Edward Lee Dover, Jr. of Woodward, Brian Keith Dover of New Jersey; two daughters: Kimberly Gottschalk of Woodward, Tonia Rae Gottschalk; one brother Howard Dover and wife Amy of Murphy, Texas; two sisters, Leta Dover Robinson and husband Gary of North Carolina; Sue Jones; other relatives and friends. He was preceded in death by his parents, one brother, Larry Dover, and a granddaughter Jennifer Rose Cooper. To send flowers or a remembrance gift to the family of Edward Lee Dover, please visit our Tribute Store. "Email Address" would like to share the life celebration of Edward Lee Dover. Click on the "link" to go to share a favorite memory or leave a condolence message for the family.